Make of plastic. 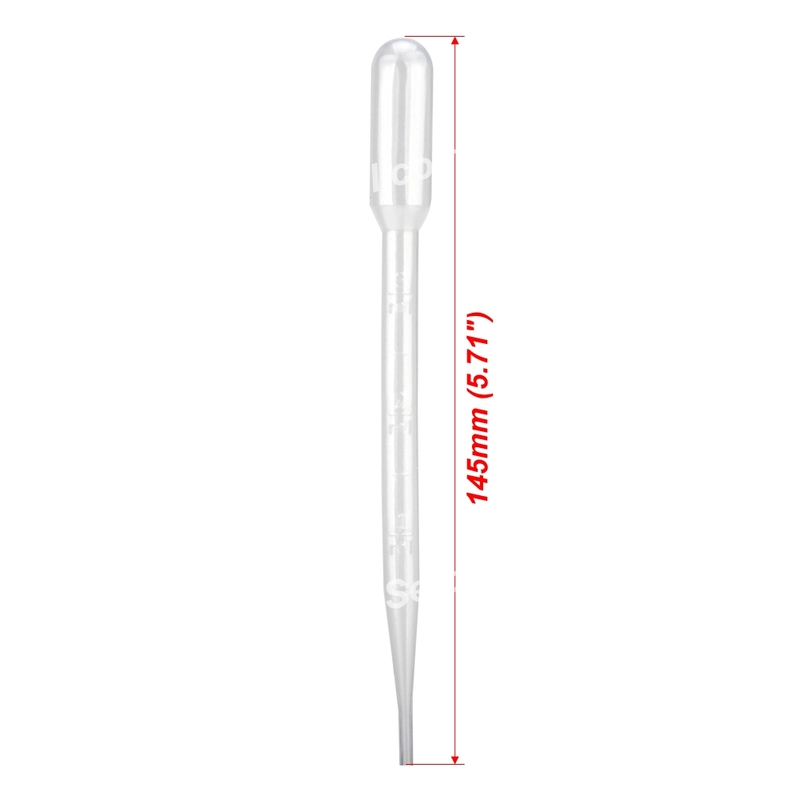 Can isolate aggressive fish, injured fish, small fish, shrimp and other marine fishes. Improve the survival rate of juvenile fish, like the guppy. 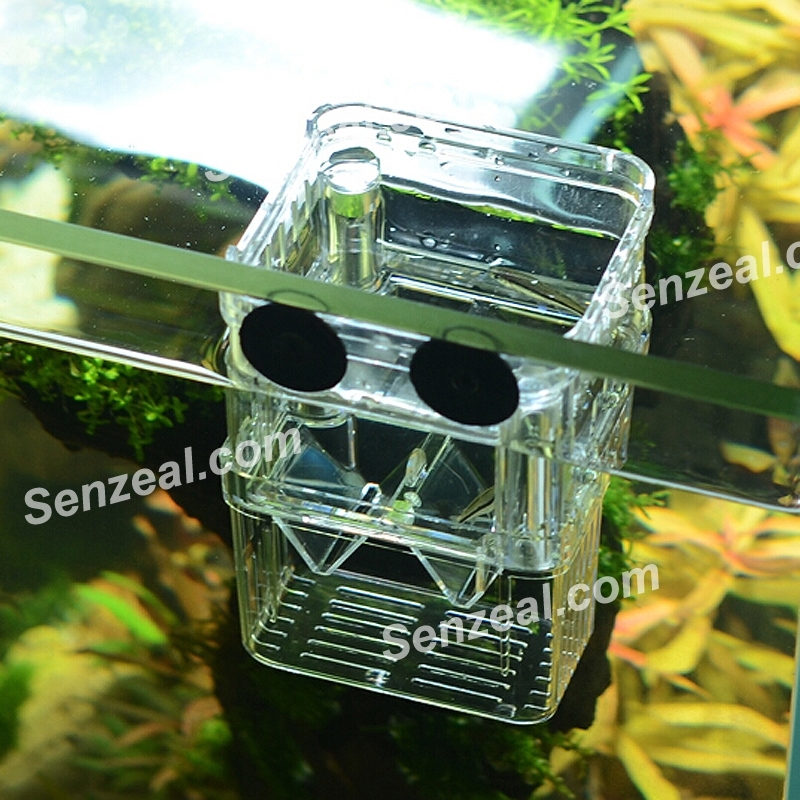 Preventing fish jumping out of the box,double layers combination, saving space. 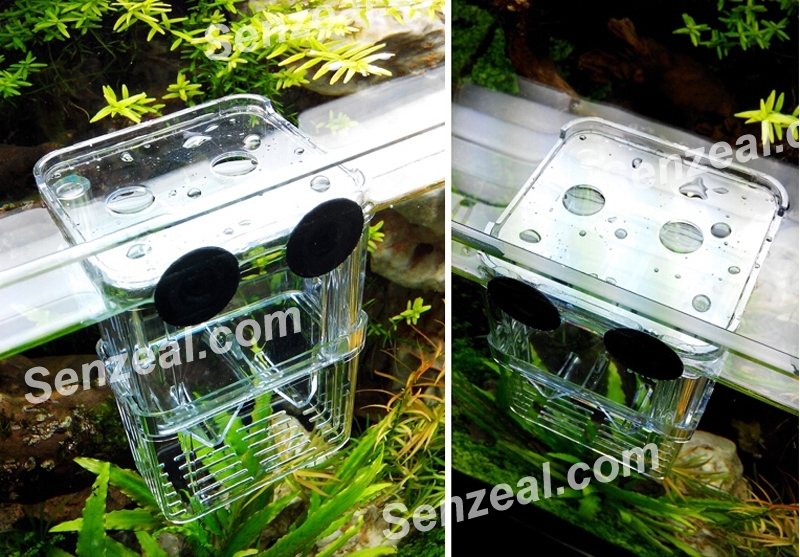 -Prevent the baby fish from the adult fish's attack and improve the survival rate of the baby fish. 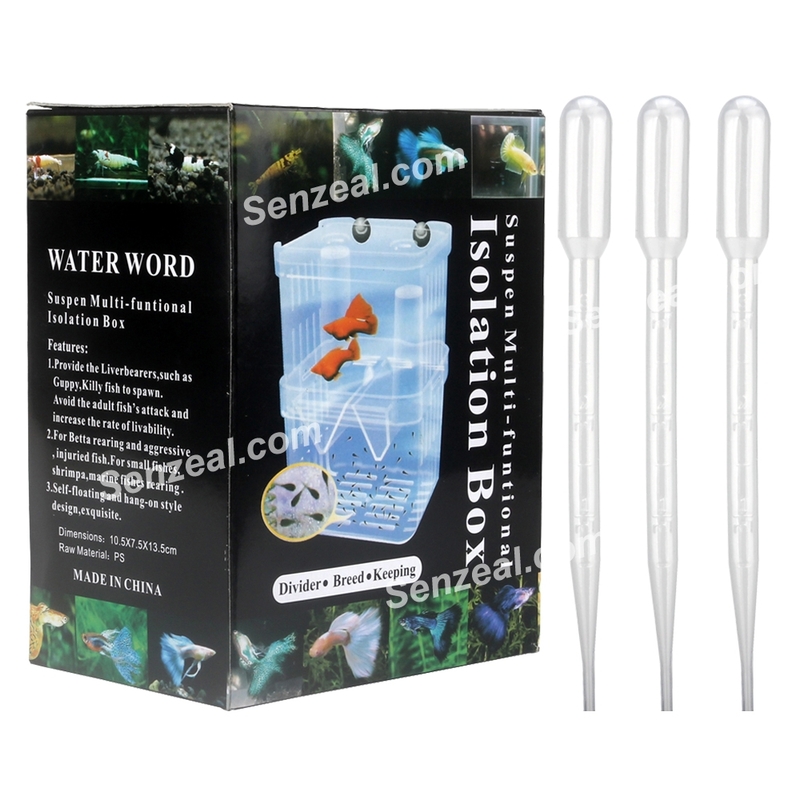 -Perfect isolator for aggressive fish, injured fish, small fish, shrimp and other marine fishes. 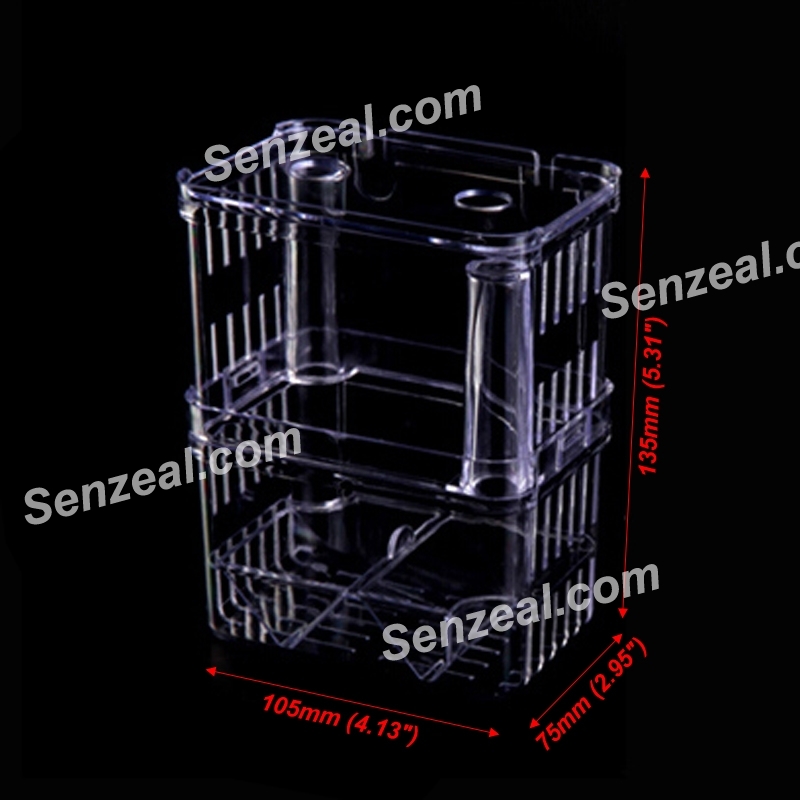 -Remove all the partitions to work as a large hatchery box. 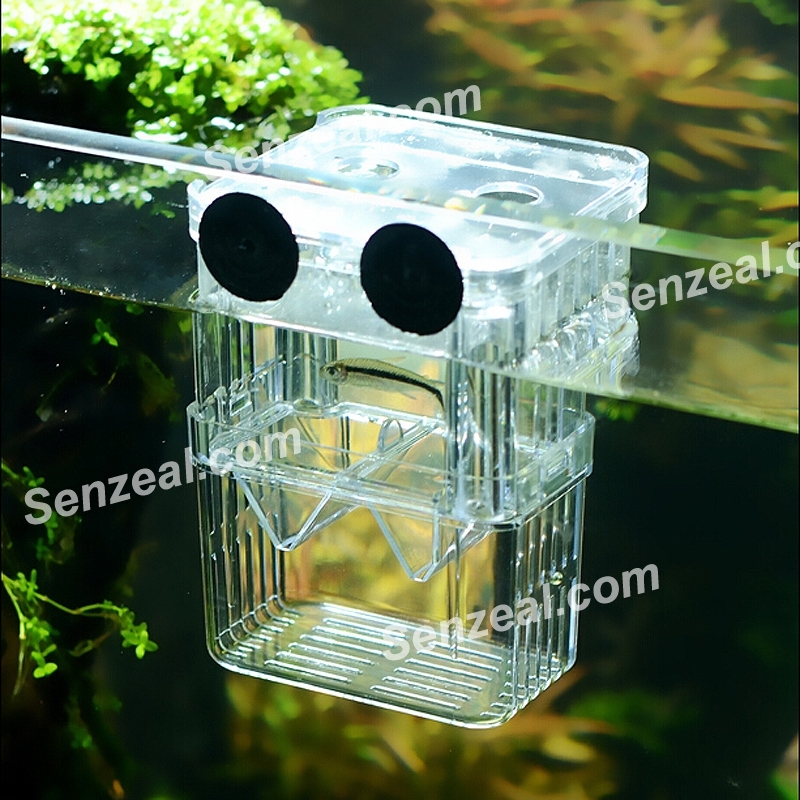 -Floating Design stick on aquarium tank,ECO-friendly suction caps can be adjustable, double layer combination does not occupy a space. 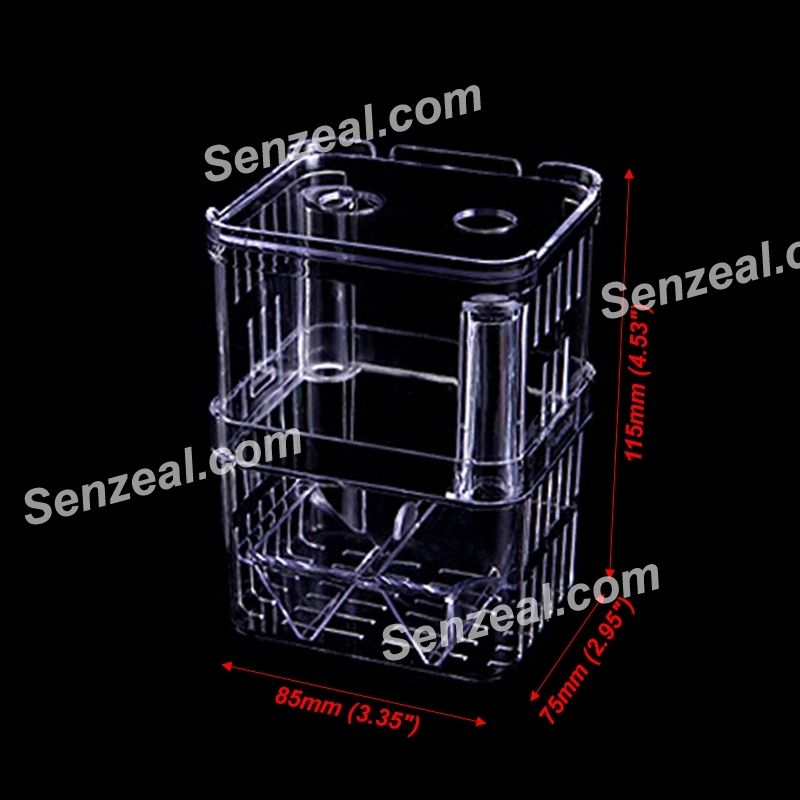 -No need to open the cover when feeding because of the upgraded design with a feeding hole on the top.